Şırnak deputy Sevahir Bayındır is one of several DTP politicians to call for an investigation into JİTEM, a clandestine military intelligence unit alleged to have organized mass atrocities against Kurdish civilians. The recent arrest of Ret. Brig. 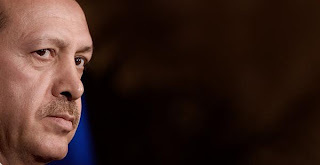 Gen. Levent Ersöz, who had escaped to Russia last July, has brought the operations of a clandestine military intelligence unit, long known as JİTEM, to the forefront of public attention. Ersöz is thought to have worked directly underneath Ret. Maj. Gen. Veli Küçük, and to have been the leader of the illegal and long-rumored JİTEM. 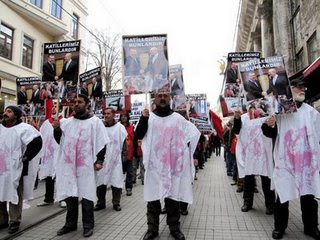 JİTEM is responsible for mass atrocities committed against Kurds since the 1990s, including the forced disappearances of HADEP politicians Ebubekir Deniz and Serdar Danış in Silopi in 2001. Under Ersöz was Ret. Col. Abdülkerim Kırca, who recently committed suicide when former JİTEM subordinate Abdülkadir Aygan, who is exiled in Sweden, recounted his participation in the stealth organization to Taraf. Until recently, Turkey had long been remiss to investigate crimes committed by JİTEM thugs and assassins, many of whom seemed to have worked as civil servants in the Gendarmerie. 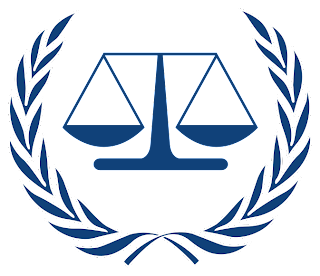 Turkey's failure to open an investigation into the disappearence of Deniz and Danış resulted in a finding against it by the European Court of Human Rights and an order to pay damages to the men's families. As a function of the Ergenekon investigation, which has now led to an investigation into a whole assortment of alleged deep-state activities, including JİTEM, it is possible than an investigation might just now be opened. 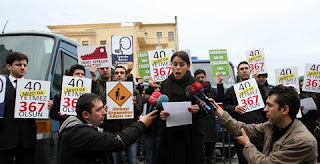 To mark the disappearances, thousands of Kurdish protestors in Silopi, a district town of the southeastern province of Şırnak, took to the streets to demand a thorough investigation. DTP district chair Halil İrmez and MP Hasip Kaplan requested searches be made of the state-owned wells of the Turkish Pipeline Corporation (BOTAŞ), a request which DTP MPs have taken to the Justice Ministry. There is suspicion that JİTEM buried the bodies of Deniz and Danış -- alongside other victims -- in BOTAŞ' acid wells. Earlier Ergenekon informant Tuncay Güney alleged this was a common method of summary execution used by JİTEM in the 1990s. According to TDZ, "Late in December, the Silopi Prosecutor’s Office authorized investigators to locate and open local oil wells. BOTAŞ’s management announced that it would provide any assistance necessary in opening up the wells. However, BOTAŞ has only a few oil wells in Silopi; most of the wells in the region belong to the Turkish Petroleum Corporation (TPAO), and these wells must also be examined." In response to the DTP MPs, Justice Minister Mehmet Ali Şahin has expressed willingness to uncover the wells if more evidence comes to light.
. . . [T]he debate over Ergenekon has finally turned to the state’s policies toward the Kurds in the 1990s. Abdulkadir Aygan, a former member of the Kurdistan Workers' Party (PKK) and later a member of the clandestine gendarmerie intelligence unit known as JİTEM, confessed to the media that when retired Colonel Abdulkerim Kirca was the head of JITEM in Diyarbakir, the unit conducted dozens of executions (Star, January 19). Since then, Aygan has been living in Stockholm for fear of his life. The following day, Kirca committed suicide (Star, January 20). Chief of General Staff General Ilker Basbug, armed forces commanders, and a large number of military officers attended Kirca’s funeral in what was apparently a show of solidarity by the military for its members (Hurriyet, January 21). The Turkish Armed Forces issued a statement saying, “the media with its untrue stories judges people and drives them to tragedies. The authorities should act to stop this irresponsible media coverage” (www.tsk.mil.tr. January 21). As was to be expected, the media continued giving attention to Aygan’s confession. Aygan claimed that JITEM had executed between 600 and 700 Kurds in the 1990s and that “JİTEM operations always ended in death.…those who were reported to JİTEM as having any relationship with the PKK were executed” (Taraf, January 27). With the possibility of establishing a relationship between Ergenekon and some of the unsolved murders and PKK operations in the Kurdish region, the Ergenekon prosecutors asked the court in Diyarbakir to send the files of the JITEM trial in which 11 accused JITEM members have been tried in the last 10 years without producing a conviction (Referans, January 28). Moreover, the Ergenekon prosecutors have asked the court to send the files on Brigadier General Bahtiyar Aydin who was mysteriously assassinated in town of Lice in Diyarbakir Province in 1993 and the files of colonel Ridban Ozden, whose murder in Mardin Province in 1995 was blamed on the PKK, a theory that is rejected by many including Ozden’s wife (Sabah, January 28). 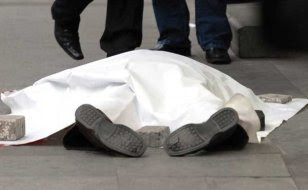 It still remains to be seen how Ergenekon prosecutors will connect the murders in the Kurdish region in the 1990s with the arrested Ergenekon suspects and the buried ammunition found after the last two waves of Ergenekon arrests in January. The 10-year JİTEM trial of 11 suspects will be combined with the Ergenekon case. The case regards offenses committed in 1989. Earlier this week, TDZ profiled Aygan, tracing his life from early involvement with the PKK through his career in JİTEM. In Sweden, Aygan enjoys political asylum. DTP MPs calls are part of a larger effort within DTP premised on the hope that by taking advantage of the current opportunities for sunshine offered by the Ergenekon investigation, Turkey might actally succeed in routing out those in the state who perpetrated human rights violations, and who continue to take advantage of opportunities to cause ethnic strife within Turkey. For more on Ergenekon and Kurdish politics, see Aug. 12 post. Last Thursday marked the eleventh wave of arrests in the Ergenekon investigation. Though not as dramatic as the tenth wave, more than 30 people were arrested, including Türk Metal Union leader Mustafa Özbek. UPDATE 2/2 -- Bianet has published Taraf reporter Neşe Düzel's interview with Aygan from his home in Sweden. The interview ran in Taraf on Jan. 27. 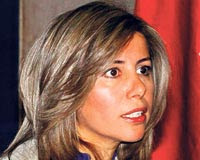 An organization calling itself Encümen-i Daniş (Consultation Council) sent a letter to former President Süleyman Demirel in 1994 with a list of recommendations on a number of issues in an attempt to influence decision-makers in the country ahead of the Feb. 28, 1997, post-modern coup, the Bugün daily reported yesterday. 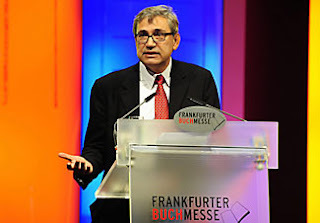 Considered to be a “think tank” that included some of the most powerful figures in the country, who came together behind closed doors to talk about Turkey’s problems, Encümen-i Daniş sent a letter to Demirel and then-Prime Minister Tansu Çiller in 1994 in an attempt direct political decisions in the country. Paragraphs from the letter were quoted verbatim a few years later -- this time in a grim resolution issued by the National Security Council (MGK) in 1997 that led to the collapse of an elected coalition government. 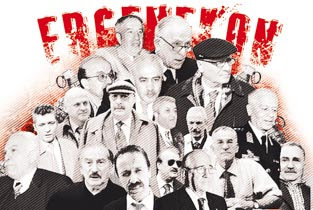 Encümen-i Daniş is, according to some, a clandestine committee that also has links to the Ergenekon gang and to the Western Working Group (BÇG). BÇG was another clandestine group formed within the army during the Feb. 28 coup that blacklisted various politicians, intellectuals, soldiers and bureaucrats as “dangerous personalities” who were threatening the regime. Included in the six-article recommendation letter sent to Demirel and Çiller are calls for the strict implementation of the Law on Political Parties; tough controls on Quran courses; and the reclassification of imam-hatip schools -- high schools that offer religious education -- as vocational schools so that students would have a lesser chance of being admitted to university.